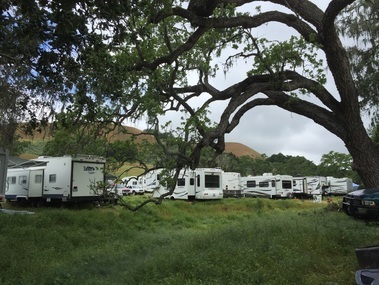 A view of the beautiful Chamberlin Ranch near Los Olivos, where we hold our annual charity archery shoot. We did it again! 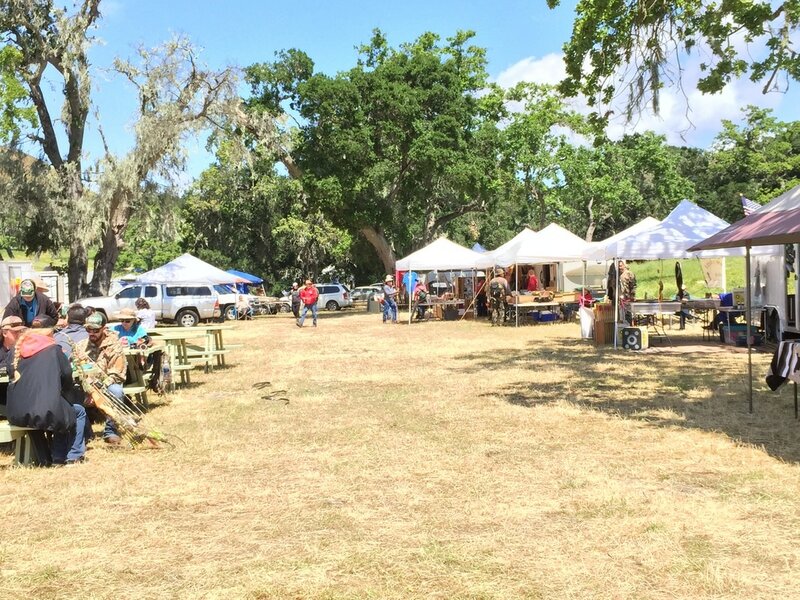 This past year's archery shoot brought a record 429 shooters together to enjoy the beautiful Chamberlin Charity Archery Shoot this April 2019! Thanks to all the rain this year, the hills were green and lush, perfect for our shoot.A big thanks to the Chamberlin family for allowing us once again to have our archery shoot at their ranch. Also a big thank you to all the vendors who supported our fun with their amazing products and donations to our raffle. 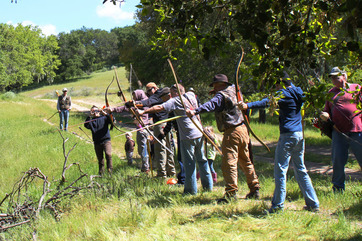 Traditional Bowhunters of California’s (TBC) conception in January 2005 was the indirect result of a group of several traditional archery friends getting together to host a Traditional Archery 3-D shoot on the beautiful Chamberlin Ranch in Los Olivos California. The property was graciously offered by owners Fred and Johanna Chamberlin. This came about in the early part of 2002 when we heard that this established TAC event would not continue, so we asked to continue the event. Vince and Cathy Grgas designated this event as a charity endeavor when we started hosting this event in April of 2002 with the help of a lot of great friends. We were pleasantly surprised to find out just how special the whole family of traditional archers were. 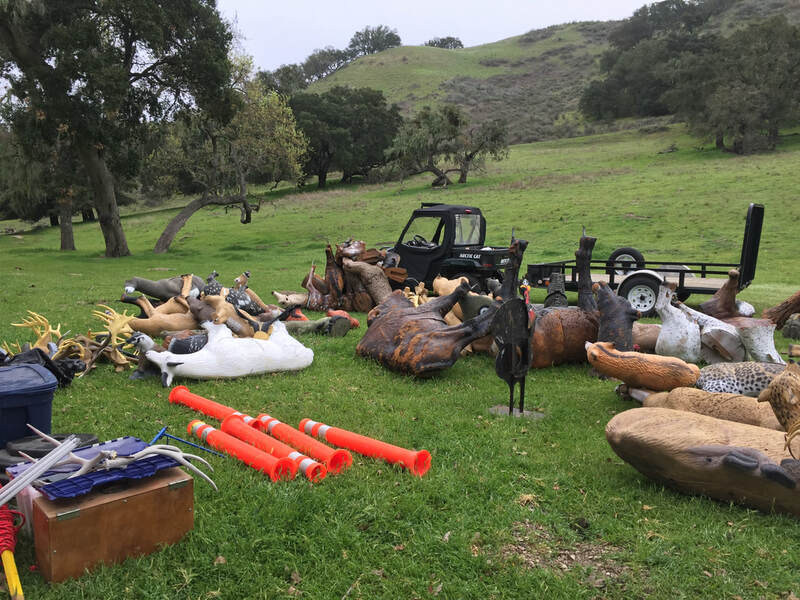 The donations of animals, money, time, raffle items, hunts, and handcrafted items such as custom bows, knives, arrows, quivers, wallets, belt buckles, atlatl’s etc. were incredible and certainly welcomed. The greatest thing is that these generosities have continued every year to make this event what it is today. Since that time in 2002, the Chamberlin Ranch Rendezvous charity event has evolved into much more than we ever expected. Consequently we have expanded our intentions and even our own expectations as to what the possibilities might hold for the future. Our intention from the start was to work hard to give traditional archers a weekend of friendly competition, fun, camaraderie, campfire conversation, and the luxury of sleeping under the stars, because as you know these events are few and far between. It is these types of events that help keep the old traditions alive, with those who attend able to see the artisans who show their wares and their craft as they demonstrate their skills. Bowyers, arrow makers, falconers, flintknappers, knife makers, leather crafters, trappers, jewelry artists, atlatl crafters, carvers, and more, attend to make the rendezvous atmosphere something that we are most grateful for. Our vendors list is long and grows each year as well. This event is usually held on the first full weekend of April, rain or shine. 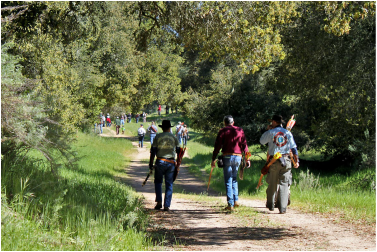 Traditional Bowhunters of California is not an archery club per say with a range, officers or a board of directors at this time, although we are insured and sanctioned by IBO for our events. We are not going to have a membership fee in order for one to belong. We are an organization that has many goals, only one of which generates monies for charity. Our initial goal financially was to give profits above and beyond shoot expenses to a deserving charity. It will remain our mission now and in the future as long as we host this event. In April 2004 after our event, we were finally in the black after paying off the new animals, animal trailer, shirts, food and all miscellaneous things related to doing an event like this for the past 3 years. 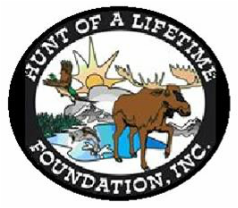 So in April 2005, combined profits from the past 2 years are earmarked for the “Hunt of a Lifetime” foundation charity (www.huntofalifetime.org). This organization sends young hunters with various health issues or life threatening illnesses on the hunting or fishing trip of their dreams. This is possible through donations of all kinds from services, air fare, hunts, frequent flier miles, clothing, gear, etc. The list of sponsors is long and we felt it was a good charity to start with. We hope to be able to donate to other great charities for kids as well. Vendor tents at 2017 shoot. Many chances to purchase items and share archery ideas. Group pondering their first target at the 2019 Chamberlin shoot. This is a nationwide non-profit organization that sends younsters with life threatening illnesses on the hunting or fishing trip of their dreams. Funds raised at our annual shoot are donated to this organization. To promote, encourage and foster the sport of bowhunting, to futher education, and act as a political lisason for protection and advancement of bowhunting and unification of the bowhunter. Promotes archery and bowhunting in the State of California. Has a legislative program to enhance all areas of archery as well as educational programs to improve bowhunting skills.